Cheap return flights from France to Porto Alegre, Southern Brazil from €372! Cheap return flights from France to Porto Alegre, Southern Brazil from €372! This is now including great availability during summer holidays 2019! (Although it is local winter it is still considered as peak season when flights are significantly more expensive). If you are flexble and can your plan your next trip to South America a lot in advance check out this promotional sale of TAP Portugal from main airports in France (Lyon, Paris, Toulouse. Marseille, Nice, Bordeaux.) to the capital of the Brazilian state of Rio Grande do Sul. Note that fare shown is for a round trip incl. all taxes however there is no hold bag. (You can purchase separately for extra cost). This is quite a rare deal from Europe to Southern Brazil..do not miss this offer if this is destination you have been waiting for.. The cheapest flights with TAP Portugal are available from 5th of May to 21st of July 2019. Based on date of your outbound flight from France to Brazil. We have not managed to find further restrictions of this TAP Portugal promotion. Below you can refer to our booking samples. To check your connection possibilities we recommend to use Skyscanner tool. If you want to book your hotel in Porto Alegre in advance you may consider hotel booking agents such as Booking.com or Hotels.com. Planning trip to Brazil you can also have a look on our previous deal from France to Rio de Janeiro or Sao Paulo based on Star Alliance. Booking sample of cheap return flights from France to Porto Alegre, Southern Brazil from €372! 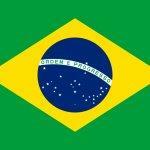 As per above deal your outbound flight from Lyon to Porto Alegre in Brazil would take place on Saturday, 13th of July. Return flight from South America back to France on 27th of July 2019.